"The level of ambition we are seeing on water efficiency from government is the most I have seen in all my years in the sector." 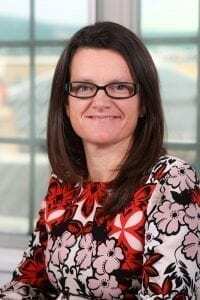 As International Women’s Day was being marked around the world and by utilities here in the UK on Friday, 8 March, Nicci Russell was celebrating her second anniversary in post as managing director of Waterwise. When Utility Week meets her at an office in London where the small team of the not-for-profit NGO focused on water efficiency hot desks from time to time, we discuss what those two years at the top have been like. “Gosh, when you asked, the first word that came into my mind was ‘tumultuous’; the second was ‘amazing’ – but I’m happy for you to use both of them,” Russell laughs. But Waterwise has gone from strength to strength and is now proud to have signed up all the UK water companies as supporters and affiliates, compared with around two-thirds when Russell became MD. Although relatively new to the role, she is no newcomer to the water industry, having been on the board of Waterwise since she set it up in September 2005 with Jacob Tompkins, following a conversation they had about forming an independent water efficiency body with industry support. Tompkins was policy adviser at Water UK before he co-founded Waterwise with Russell and became the managing director of the independent group. He has since left the organisation and is now co-founder and chief technology officer at the Water Retail Company. Russell was policy director at Waterwise until 2013 and also has experience as a special adviser to a cabinet minister and the Department for Environment, Food and Rural Affairs, as well as a stint at the water regulator, Ofwat, from 2013-17. Russell reveals she had wanted to work at Ofwat “for a while” and felt the pull of the public sector drawing her in “almost emotionally”. She also led on Ofwat’s strategic approach to Wales, because there was a “not unfair assumption” in those days that Ofwat was “pretty active” in England but less so in Wales. “Ofwat is much better at it now, but certainly in those days sometimes people needed reminding – you regulate Wales as well,” she recalls. When she joined the regulator, she initially worked on the water bill that brought in competition for business customers and then a “more wide-ranging brief” leading on the resilience duty. “I really loved my four years at Ofwat, not least because I got to work with the fabulous Cathryn Ross, whom I was lucky enough to have as my line manager,” she says. Her first day as managing director of Waterwise coincided with the organisation’s annual conference. This year’s conference, which was four times the size of the 2018 event, was held shortly after our conversation and included a keynote speech from Sir James Bevan, chief executive of the Environment Agency, in which he warned that England could face a water shortage in as little as 25 years’ time. The theme of the conference was the pathway to ambitious water efficiency – getting to 100 litres a day or lower. Russell is “really excited” about the level of ambition around water efficiency and humbled by the organisation’s stakeholders and supporters “being kind enough to say” Waterwise has played a part in that. But she is keen to see the water industry go further and used the conference as an opportunity to challenge the sector to “throw everything” at per capita consumption (PCC) to reduce it by 50 per cent, as the water industry has committed to do with leakage by 2050. Russell says the ambition to improve water efficiency in the sector encompasses water companies, regulators and government, but despite being impressed with progress, Waterwise continues to urge the involved parties to push harder. Conversations about the regulator turn to PR19 and the draft business plans companies have submitted for the period 2020/25. Most water companies will be resubmitting their proposals to the regulator this week (1 April) because only three received fast-track status when Ofwat published its initial assessment of the documents. Waterwise looked “with interest” at Ofwat’s initial findings of the plans. “There is such a mixed bag on water efficiency,” Russell muses. “Even when there is top-level ambition, the water companies were set up in different ways to deliver different things. They weren’t set up to deliver large-scale engagement programmes with customers – they were set up to deliver big assets and look after them. But she is keen to point out that water efficiency is being demonstrated throughout England and Wales and is “no longer” a focus only for those water companies operating in water-stressed regions. Russell wants to see a more joined-up approach to water efficiency, from policies to public educational messages. “We should not be building homes that are wasting water. We know what the situation is going to be like within our lifetimes and already we are starting to see the pinch in terms of extreme weather events and population growth and the kind of challenges that throws up for resilience. Other suggestions she puts forward are water neutrality for new developments – no overall increase in demand when homes are built – building regulations, product standards and a mandatory water efficiency label. She explains the government will have a consultation on four areas connected with water efficiency: a national target for England per-capita consumption; a water efficiency label; the future role of metering; and building standards. In terms of PCC, Russell wants to see more from the sector. “The problem is that across the sector the percentage reduction during the price review period is only something like 5.75 per cent and it was 5 per cent over the current period. She has been involved in the sector “long enough” to recognise that it faces other challenges, such as the call from Labour to renationalise the water industry. Did this come as a surprise to Russell? “When I was a special adviser we weren’t talking about it – we weren’t talking about renationalising and it was seen as something a bit like the water grid – no one would ever mention it in a stakeholder meeting. But when I was at Ofwat and we were talking to MPs and members of the House of Lords about the competition in the Water Act, the questions I found hardest to answer were the ones about profits and dividends. Russell still has much she wants to achieve. Her first aim is to support the ambition that is there already by helping companies with internal culture change. The second is continuing to drive and support ambition on the government and regulatory agenda, and the third is to work more closely with retailers and wholesalers to drive water efficiency in the retail market. Water efficiency has come a long way, but as Russell concludes, there is still a long way to go for the benefit of “society, economy and the environment”.